Can’t wait to fire up your shiny new single oven from Currys? Preparing for the arrival of your double oven or electric hob from the Internet? 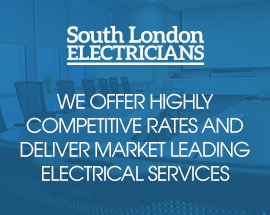 Either way, it is advisable to get a local, qualified and experienced electrician to carry out the installation. If you ask the question ‘How can I install a cooker myself’ using a search engine, you will find loads of conflicting advice. Some say that if you can fit a 13A plug, you can do it yourself, whilst at the other extreme you have those who tell you that you are bound to die if you try installing your own cooker. The truth is, that yes, if you are doing a ‘like for like‘ replacement, legally you can do a DIY cooker installation. But why bother? The only advantage is a cost saving. There are many more downsides than benefits. Let’s take the time you spend on it for a start. Unless you are a qualified tradesperson, DIY inevitably takes a lot longer than work carried out by a trade. Something that would take a couple of hours for a professional will probably take you half a day or longer. Not only do you need to wire your electric oven or hob into the mains, it needs levelling, and that can mean a lot of fiddling about. Most likely you will need to take time off work, reducing your holiday entitlement – which would you prefer – a day out relaxing, doing something that you enjoy, or a day in the kitchen, installing your single oven? One of the usual objections to employing a professional electrician is that you may be hiring a ‘cowboy‘. The easiest way to overcome this is to make sure that your electrician is NICEIC and Trustmark registered and can self-certify against Part P. In order to qualify for their registration, they need to pay an annual fee and are subject to on-going monitoring of their standards. When any single, double or free-standing oven is installed, there are ventilation requirements. Get these wrong and your oven could overheat and trip out frequently, waste a lot of heat if it is over-ventilated or create condensation in difficult to dry out places. Professional installers don’t need to dash off to the Internet to check how many mm of clearance round the appliance are required. So again, professional oven installation can save you a lot of time. Oh, and remember, self-installation of an electric cooker will probably invalidate the terms of the guarantee. The idea of ‘like for like‘ is often misinterpreted, replacing a double oven with another double oven is not necesarily ‘like for like‘. You need to look at the characteristics of the new appliance and compare them with those of the old one. If the power rating is different, it may need the ciruit rewiring as well. Cable that is insufficiently thick to carry the higher current will overheat … and who wants the Croydon fire brigade round when cooking the Xmas turkey! An experienced professional electrician will be able to work out if the existing cable is sufficient for your new oven very quickly. There are other safety issues too. Professional oven installers will check that your oven circuit is safe. This is a very good reason NOT to employ the services of the delivery company or the company who sold you your electric oven or hob – fine, they can wire it in and level it but they won’t always check how safe the cooker circuit is. They may not check the size of the RCD, the state of the insulation or the earth loop impedance … an experienced professional electrician has the right equipment and knowledge to hand to make these extremely important checks. Just because the old electric oven or hob worked does not mean that the circuit is safe. If you are lucky, there will already be a cooker circuit installed, but in many cases, a new circuit will be required. This means that cable needs to be bought, together with an appropriate RCB and the other bits and pieces. This means extra expense as well as a trip to your nearest DIY centre. Then when you have fitted the new circuit, the local authority needs to be informed so that it can be inspected and approved under Part P. So much for a swift installation. Using a professional electrician would ensure the job is done quickly – leave for work in the morning and come back to a safey fitted, fully certified and legal appliance in the evening. If you live in South London – Croydon, Herne Hill, Bromley, Orpington, Banstead or wherever, feel free to give us a call to chat over your oven or hob installation. You will find our prices very agreeable, starting as they do at just £75 – 0208 406 9834. You will speak directly to an electrician, not a receptonist.